From the author of The Strange and Beautiful Sorrows of Ava Lavender comes a haunting maelstrom of magic and murder in the lush, moody Pacific Northwest. When Rona Blackburn landed on Anathema Island more than a century ago, her otherworldly skills might have benefited friendlier neighbors. Guilt and fear instead led the island’s original eight settlers to burn “the witch” out of her home. So Rona cursed them. Fast-forward one hundred–some years: All Nor Blackburn wants is to live an unremarkable teenage life. She has reason to hope: First, her supernatural powers, if they can be called that, are unexceptional. Second, her love life is nonexistent, which means she might escape the other perverse side effect of the matriarch’s backfiring curse, too. But then a mysterious book comes out, promising to cast any spell for the right price. Nor senses a storm coming and is pretty sure she’ll be smack in the eye of it. 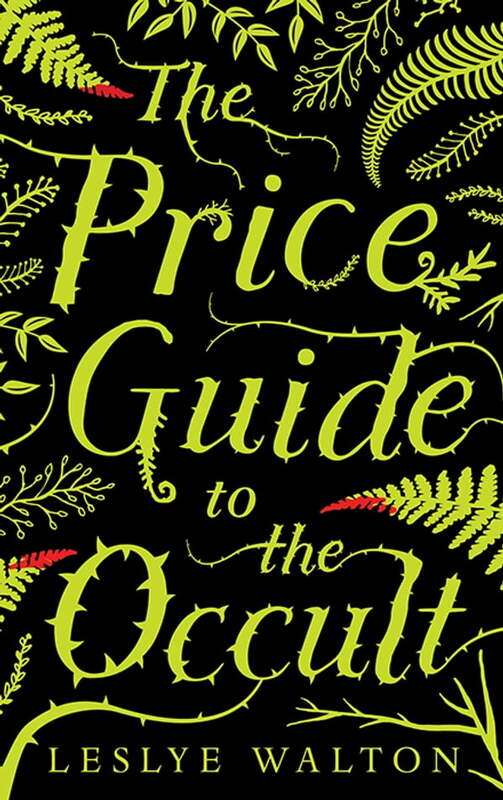 In her second novel, Leslye Walton spins a dark, mesmerizing tale of a girl stumbling along the path toward self-acceptance and first love, even as the Price Guide’s malevolent author — Nor’s own mother — looms and threatens to strangle any hope for happiness.